Designed for today’s modern woman on-the-go, the semi-permanent Designer and Ready-to-Wear Collections dramatically enhance the length and volume of the natural lash, using Kristin Wood’s proprietary Multi-faceted Lash techniques. The popular collections feature a variety of high-quality, customized looks that are achieved in meticulous and timely sessions. Inspired by Kristin Wood’s diverse and gorgeous clientele, the Designer Collection includes further embellishment to achieve a truly customized, designer look using 160+ luxurious faux mink extensions per eye. The experience is an extension of the popular Ready-to-Wear style and utilizes the exclusive Facet Lash technique. As with the initial application, the Re-Lash treatment dramatically enhances the natural beauty and shape of the eyes with a meticulous lash replenishment. Recommended every 2-3 weeks to maintain customized Designer look, the service includes an estimated 50+ faux mink extensions per eye. The Couture Collection includes a customized set of semi-permanent eyelash extensions gently applied to the natural lash. 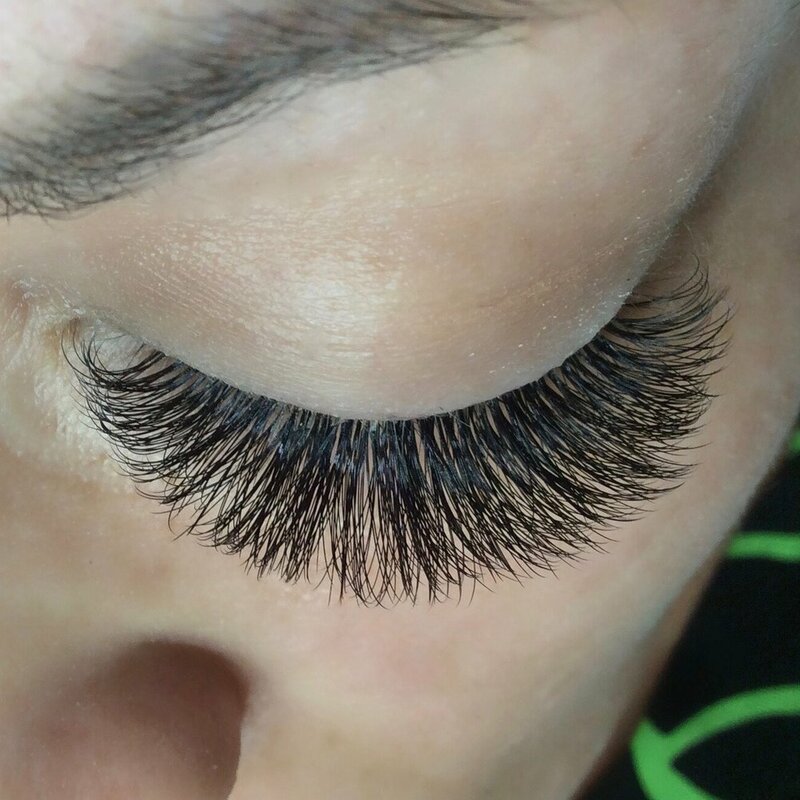 Using an estimated 250+ luxurious faux mink extensions per eye, the eye-catching result is voluminous, gorgeous lash extensions that dramatically enhance the length and thickness of the natural lash. As with the initial application, the Re-Lash treatment dramatically enhances the natural beauty and shape of the eyes with a customized lash re-fill. Recommended every 2-3 weeks to maintain the customized Couture look, the service includes an estimated 75+ of faux mink extensions per eye.